The graphic above gives you a rough, ballpark idea of the locations that would fall into the category of "Local Move" from the center of Nampa, Idaho. IMPORTANT NOTE: The actual mileage used in calculating move costs comes from Google Maps and uses your exact addresses (both, origin and destination) to determine distances. So, any destination address within 50 miles ("as the crow flies") of your origin address, would be a Local Move. 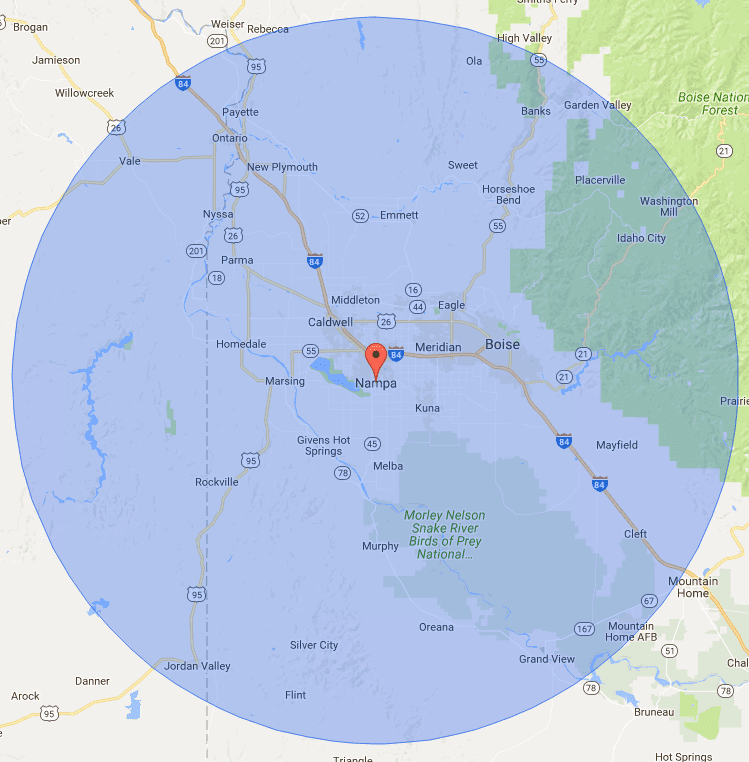 NOTE: Any place outside the shaded radius area, but still in the state of Idaho, would count as an "Intrastate" Move.